WOWSERS! 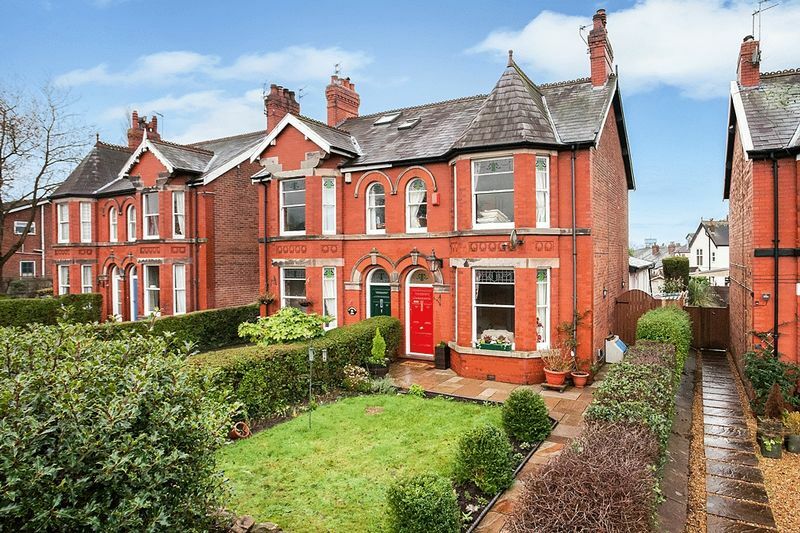 CAN WE GET A VIRTUAL ROUND OF APPLAUSE FOR THIS GORGEOUS THREE BEDROOM EDWARDIAN RESIDENCE. WE DON'T EVEN KNOW WHERE TO START IN DESCRIBING ITS BEAUTY. JUST WOW! 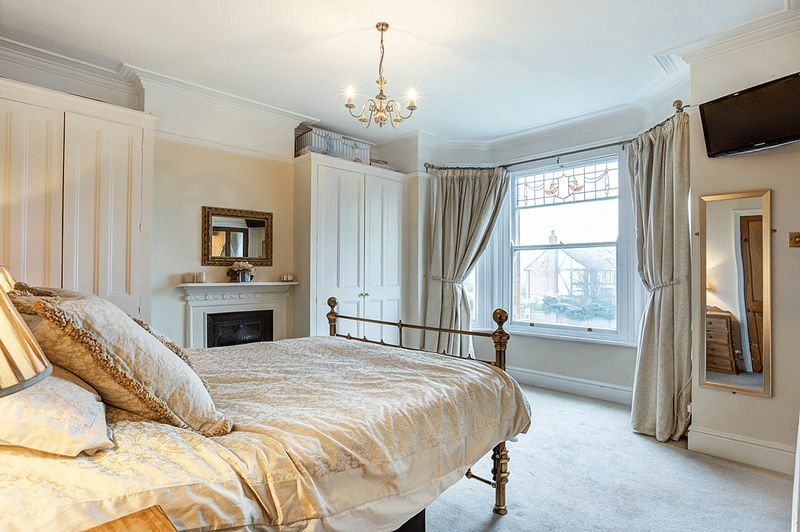 A beautiful period home gushing with sophistication and inherent features. The owners have kept the integrity of the stunning red brick exterior whilst sympathetically renovating and extending the interior. 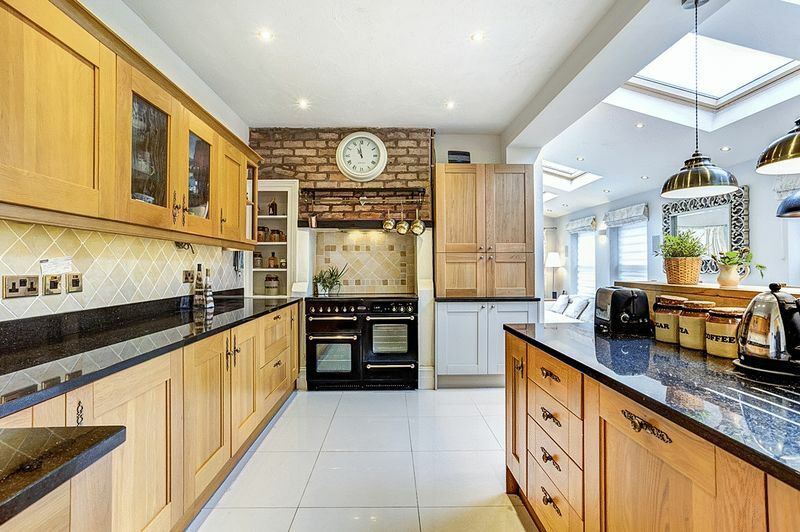 A seamless KITCHEN EXTENSION has been added to the rear linking the ‘old with the new’ to create a fabulous Kitchen/Dining area and Family Room with Bi-fold doors leading to the rear garden. 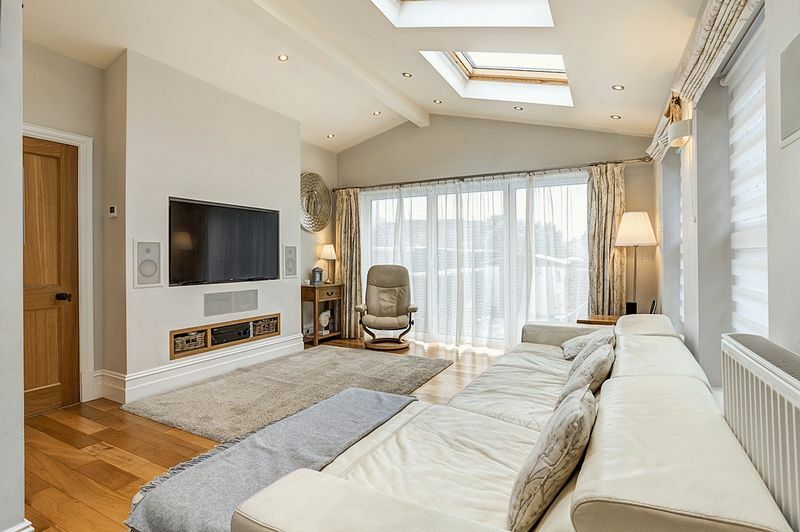 Furthermore, plans are available to view as there is an opportunity to CREATE A FURTHER LARGE BEDROOM & EN SUITE BATHROOM BY CONVERTING THE MAGNIFICENT LOFT SPACE. 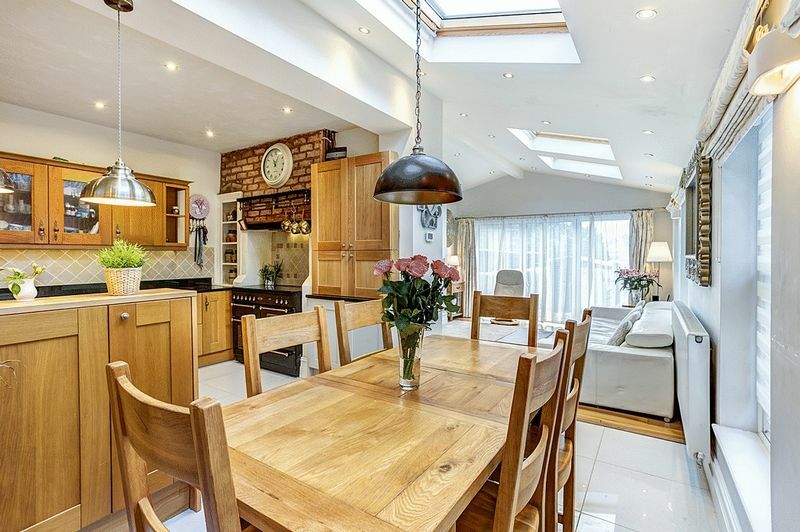 We want to be the first to say it - we love the period contemporary styling of this house. Sitting in an elevated position in the beautiful setting of Park Lane, lawned gardens, established borders and terrace are found within its boundaries. OakDene provides a rare combination of Edwardian grandeur and modern comfort, a great recipe for stylish family living. 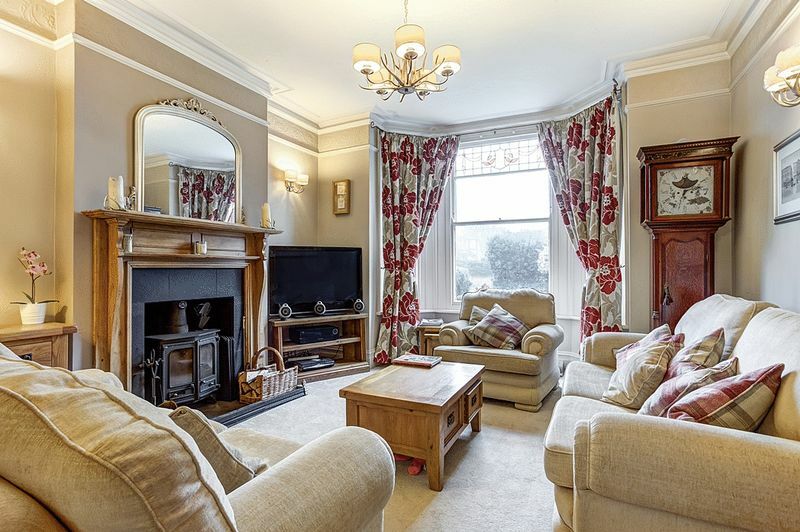 As is synonymous with this era, this handsome home is embellished with traditional features such as its huge sash bay windows, high ceilings, deep skirtings, attractive Minton tiles and dominating fireplaces. 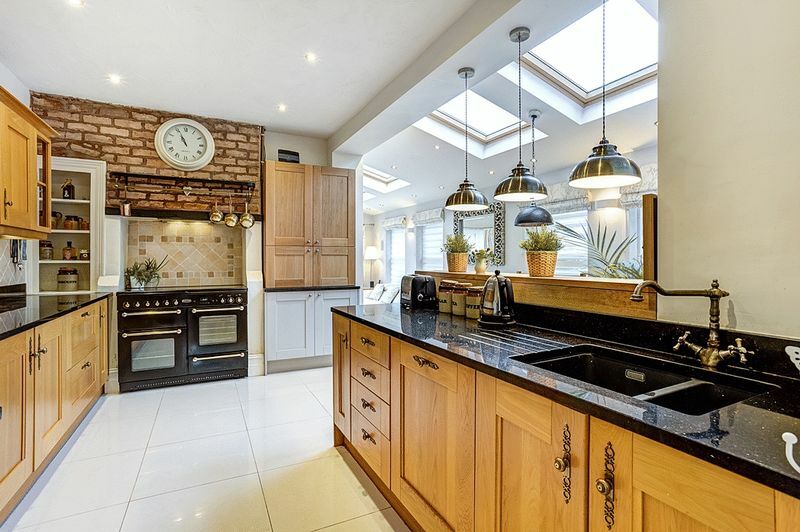 It is conveniently situated a few minutes from the town centre shops and restaurants, Congleton Park, the leisure centre and the railway station (which is literally across the road), which offers connections to national networks and frequent expresses to London and Manchester. Those fortunate to be the eventual new owner of this prestigious Edwardian residence, will, we are sure, enjoy this beautiful home for many years. Such stylish period establishments are not commonly available and infrequently do they feature in the market place, so decisions need to be made without haste. 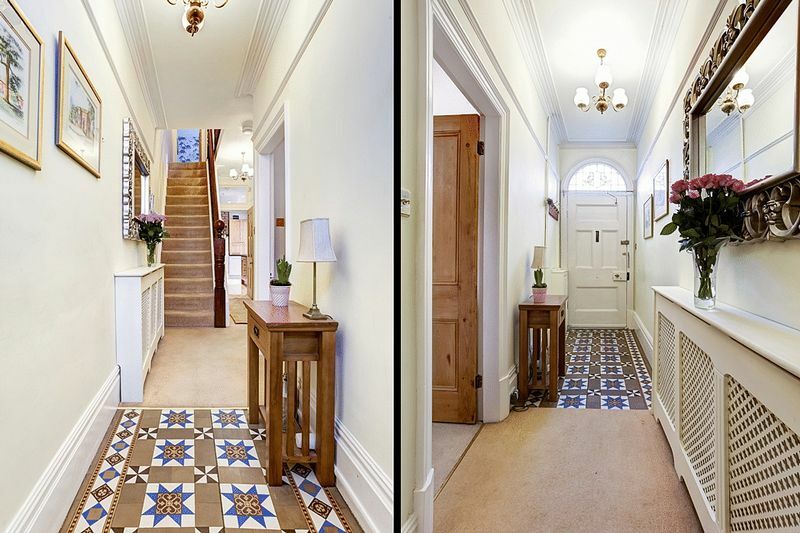 The feeling of space, accentuated with the well proportioned rooms and high ceilings, becomes immediately obvious as you step into the main entrance hallway with attractive Minton tiled floor, which provides doors to the ground floor rooms. 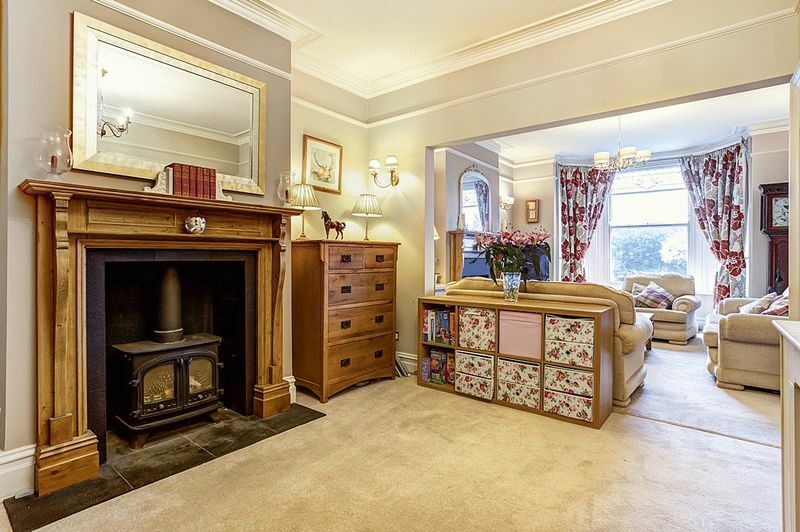 The main sitting room features a lovely open fireplace housing a multi fuel stove, and adjacent is the dining room again having its own multi fuel stove, and is ideal for use as a second main reception or office/children's/teenager's room. 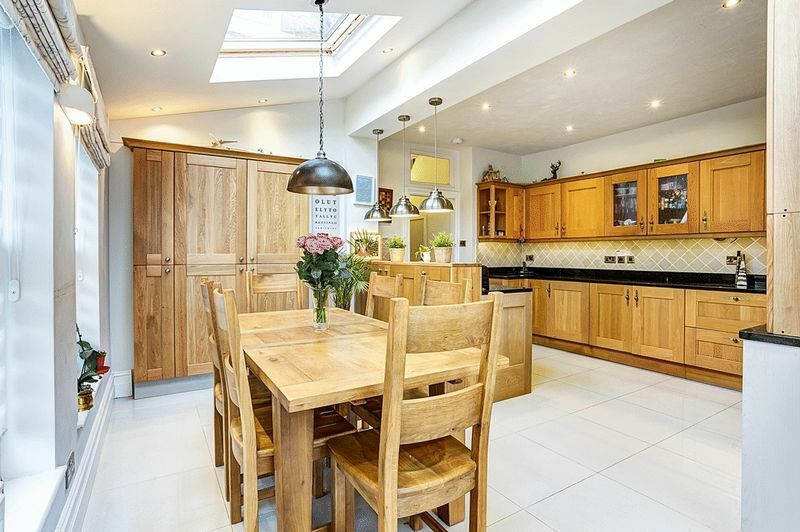 The open plan and extended dining kitchen is blessed with solid oak units under granite surfaces which then flows into the NEWLY ADDED EXTENSION, which has created a natural fabulous family dining and living room with vaulted ceilings, velux roof lights and and a wall of folding sliding doors which offers a lovely aspect over the rear gardens. Discreetly off this room is a utility and separate cloakroom. 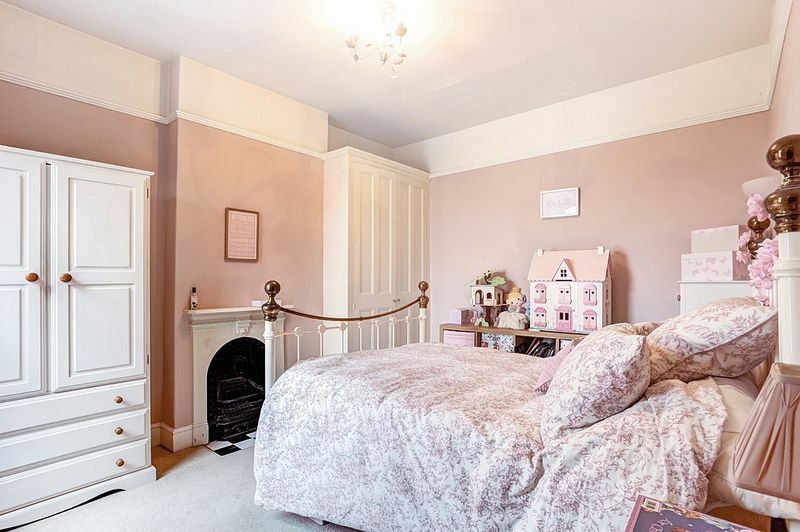 The first floor galleried landing is light and airy, and from here are three bedrooms (THE MAIN BEDROOM ENJOYING STUNNING SUNRISES AND CAPTIVATING VIEWS TOWARDS BOSLEY CLOUD) and tastefully modernised family bathroom. A separate dressing room is found off the principal bedroom, which could be altered to an ensuite (with plumbing already in-situ). 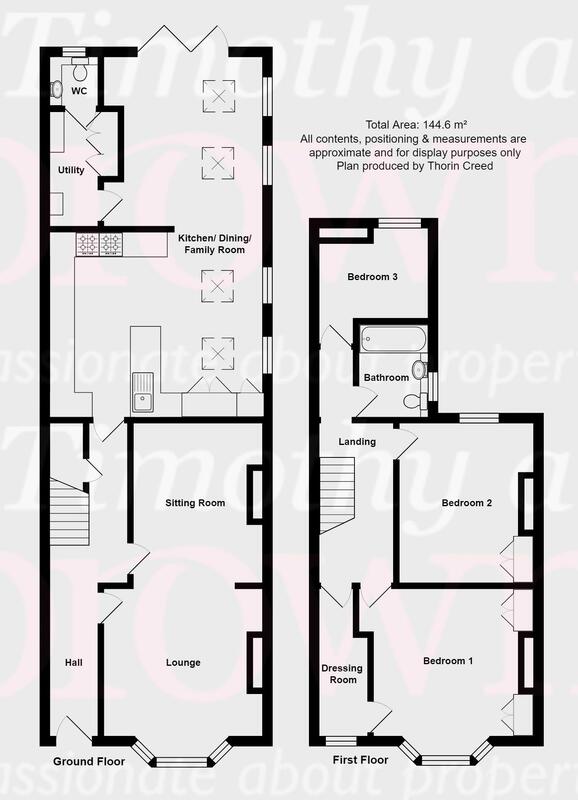 As mentioned plans are available as conversion of the roof space is possible to create a further double bedroom. 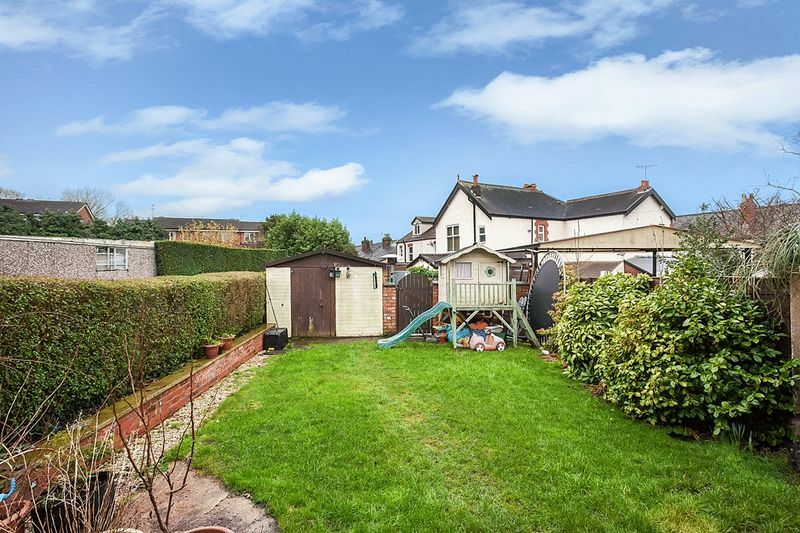 Externally and together with the gardens bounding this home and found to the rear is a SINGLE GARAGE and PRIVATE DRIVEWAY. Original chunky panelled front door with brass door furniture and with stained glass and leaded upper light. Coving to ceiling. Picture rail. Double panel central heating radiator. Deep skirting boards. Original architraves. 13 Amp power points. Attractive Minton tiled floor and fabulous wooden Newell post. Wide shallow rise staircase to first floor. Deep recessed understairs store cupboard with built in bespoke shelving and light. 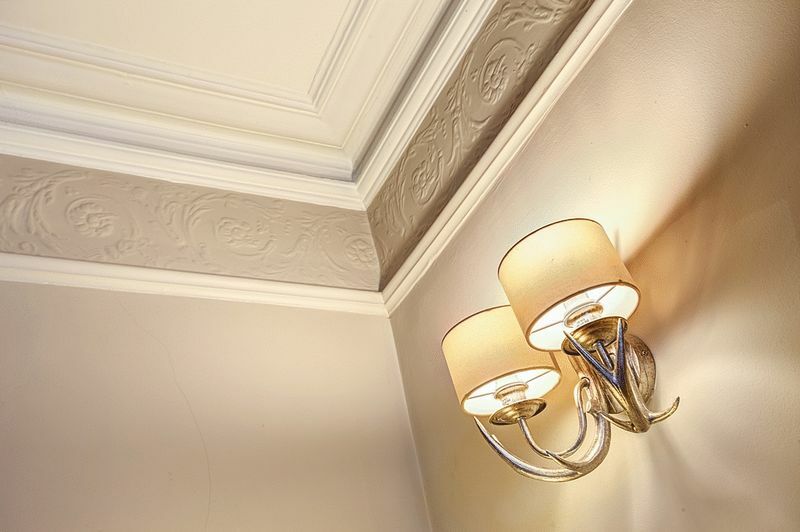 Original coving to ceiling, picture rail, deep skirting and architraves. Rustic distressed pine fire surround with cast iron multi fuel stove inset set on slate hearth and back. Three wall light points. Single panel central heating radiator. 13 Amp power points. Two large Velux roof lights. Low voltage downlighters inset. Two new PVCu sash windows to side aspect. 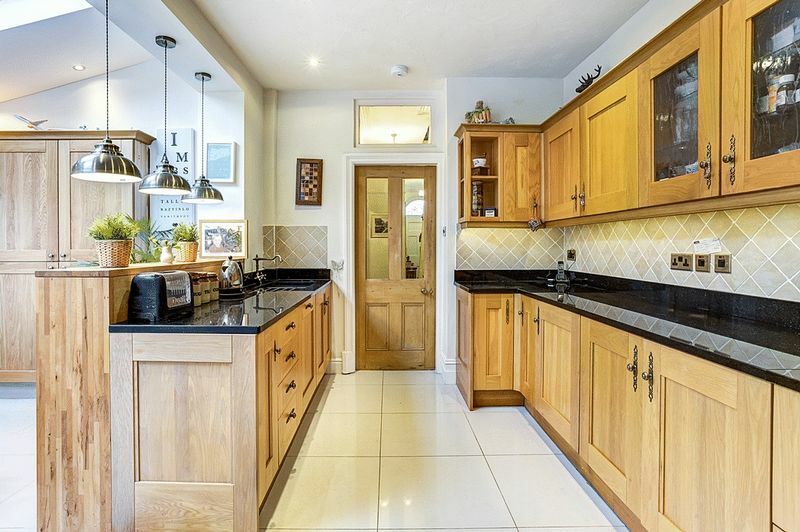 Extensive range of oak fronted eye level units, two being glass fronted display cabinets and base units having solid black granite effect preparation surfaces over having preformed drainer and composite one and a half bowl FRANKE sink unit inset with brass mixer tap. Recessed area with space for slot in range cooker with integrated extractor fan above and with oak mantel over. Integrated dishwasher and fridge. 13 Amp power point. Ceramic tiled floor with electric underfloor heating. Pantry cupboard with space for microwave. Fitted larder unit with integrated larder fridge and freezer and pull out larder cupboard. 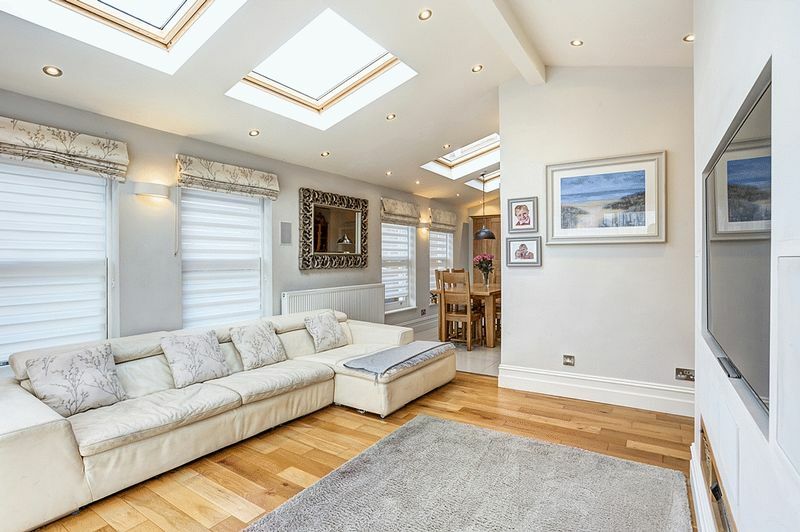 Large opening to vaulted ceiling extension creating a huge living area. Vaulted ceiling with low voltage downlighters inset. Two Velux roof lights. Two new PVCu sash windows to side aspect. Chimney breast 'effect wall' with recess for widescreen television. Discreet flush wall mounted surround sound speakers. Double panel central heating radiator. 13 Amp power points. Natural oak effect floor with electric underfloor heating. Aluminium triple glazed Bi-fold doors to the rear garden. Door to utility and cloakroom. PVCu double glazed window to rear aspect. Modern white suite comprising: low level w.c. with concealed cistern and ceramic vanity wash hand basin set on vanity unit. Walls tiled to splashbacks. Chrome centrally heated towel radiator. Ceramic tiles with electric underfloor heating. Double panel central heating radiator. 13 Amp power points. 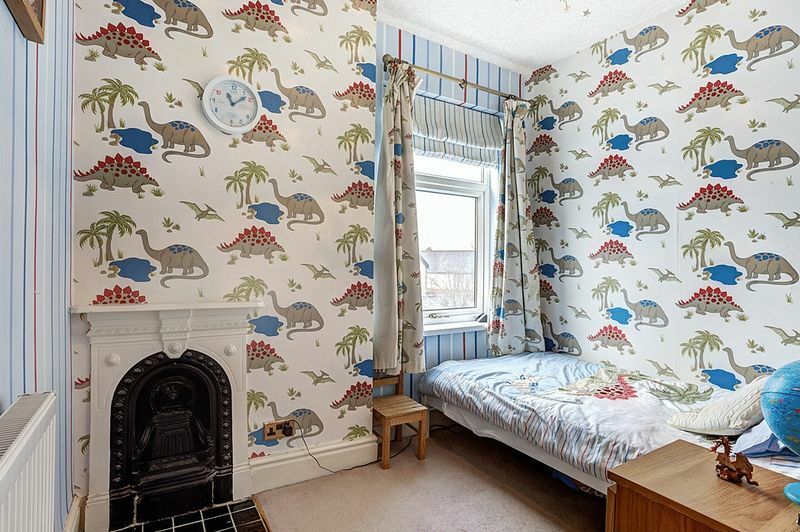 POTENTIAL TO EXTEND INTO THE ROOF SPACE TO PROVIDE A FURTHER BEDROOM. 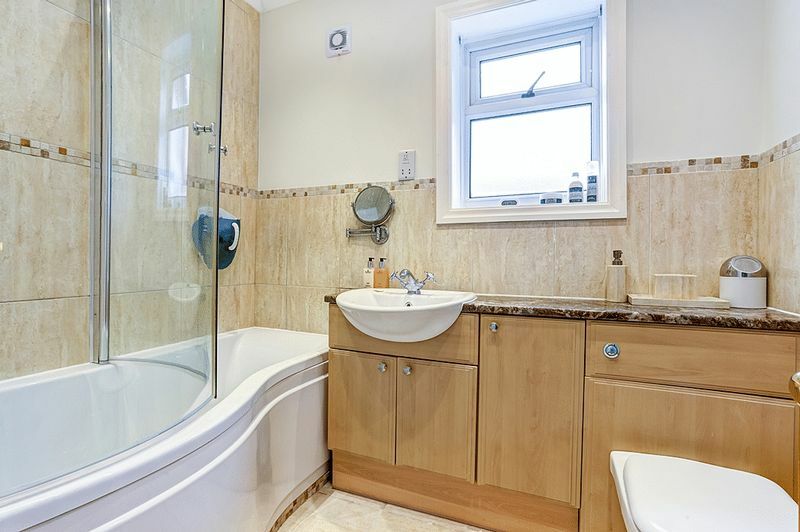 Plumbing exists to allow conversion to en suite. Timber framed sash window with leaded and stained glass uppers. Single panel central heating radiator. 13 Amp power points. PVCu double glazed window to rear aspect. Picture rail. Double panel central heating radiator. 13 Amp power points. Cast iron feature fireplace with tiled hearth. PVCu double glazed window to rear aspect. Cast iron feature fireplace with tiled hearth. Single panel central heating radiator. 13 Amp power points. Access to roof space. PVCu double glazed window to side aspect. Low voltage downlighters inset. Coving to ceiling. Modern white suite comprising: low level w.c. with concealed cistern, wash hand basin set in marble effect vanity unit with cupboards below and panelled bath with shower over. Travertine effect tiled walls to splashbacks and half height. Chrome centrally heated towel radiator. Matching floor tiles. Through stone gate posts (suitably weathered by the decades) they lead to the pedestrian footpath laid with attractive Indian stone, providing ways to the front entrance and to the side to a gated access to the rear. The front is mainly lawned with deep flower borders, rockery and the boundaries are formed with a mixture of mature hedgerow. Indian stone pathways and space for storage. Cold water tap. External lighting. 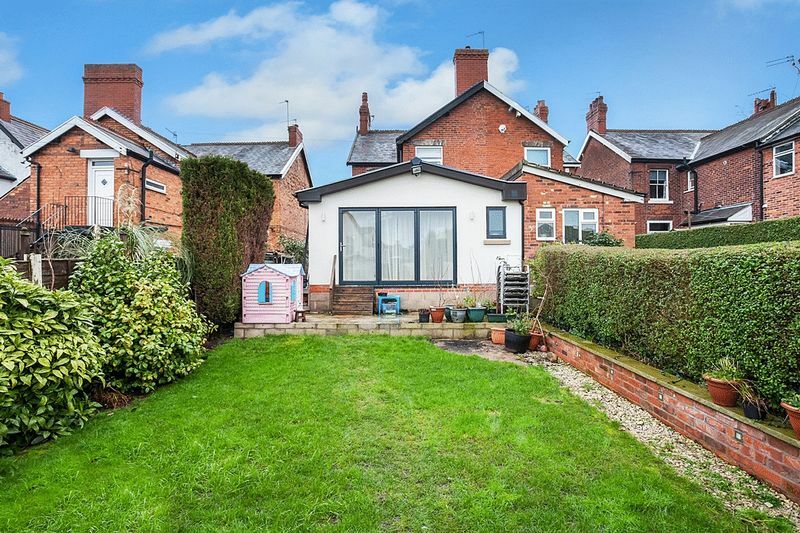 Extending from the rear of the property is a terrace ready for the introduction of some form of decking which overlooks the enclosed south facing gardens mainly laid to lawn, a great safe haven for those with children enjoying a sunny aspect. To the left is an Indian stone path with lower retaining wall having discreet lighting. Gated access to the rear driveway with off road parking.